You should never underestimate the enduring appeal of Mary Chapin Carpenter and the loyalty of her UK fan base. 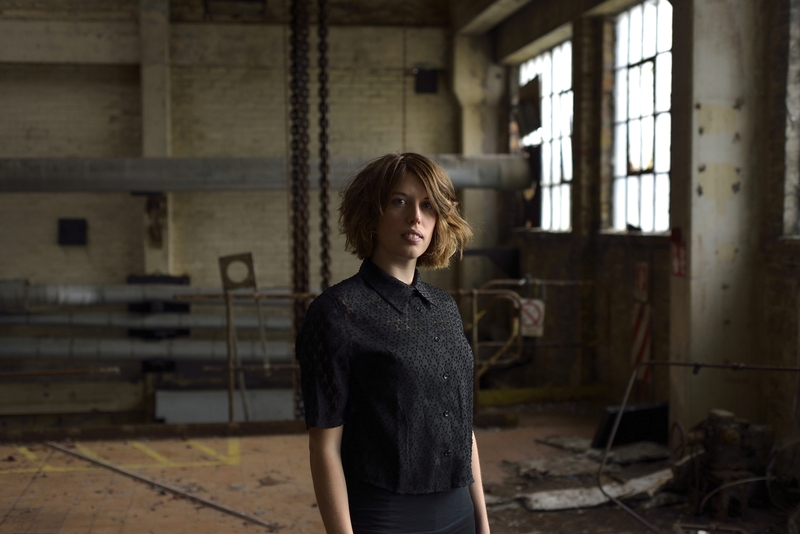 There may not have been a new record to promote, but a near-packed out Birmingham Town Hall showed oodles of love to the widely acclaimed singer-songwriter as she returned to the city after a couple of years break. Admittedly the lack of new material did not duly concern a majority of the audience as they enthusiastically applauded the intro to many of Mary’s old favourites. In fairness, Mary has kept in touch with the city since her last headline appearance at the same venue. This included slots at the neighbouring Symphony Hall with the Transatlantic Sessions and a joint intimate show with Shawn Colvin. However this time, the sole spotlight was on a thirty year recording career, of which a serious chunk took place on the mainstream stage. Whatever Mary has done in her career, acclaim has followed and the most recent bout was her Songs from the Movie project which hit UK halls and theatres last year with the backing of a major orchestral accompaniment. Alas Birmingham was omitted from that run of shows, but Mary more than made up with a string of popular numbers that filled her 90 minute plus set. This short tour was a billed as a trio show with Mary being supported by long-time colleague Jon Carroll on piano and new recruit Jonathan Trebing on assorted guitars. The quality of the musicianship on stage was highly distinguished with the only possible improvement being the addition of a rhythm section to tap into the venue’s sonic majesty. Opening with ‘The Age of Miracles’, Mary soon tossed in the popular material from what she referred to as the ‘dark ages’, as she reeled off ‘Shut Up and Kiss Me’, ‘This Shirt’ and ‘Passionate Kisses’. The latter of this trio was unique in the fact it was not one of Mary’s own compositions, indeed it came from another American songwriter of her generation in Lucinda Williams. This led onto Mary’s most compelling story of the evening about the time she toured Australia with Lucinda and Rosanne Cash for a series of song writing circle shows. The very thought of those three getting together again would be enough to excite many a seasoned Americana music follower. This evening’s version of ‘Passionate Kisses’ was reduced to almost half the speed of the original and this worked well in the stripped back environment of the mini band. In her own trademark softly spoken and cosmopolitan vocal style, Mary excelled on tender numbers like ‘Transcendental Reunion’ and ‘What If We Went to Italy’, while continuing to please many with more up tempo versions of ‘I Feel Lucky’, ‘I Take My Chances’ and ‘He Thinks He’ll Keep Her’. This last number was part of a two song encore where Mary invited opening artist Bella Hardy to join her on vocals. The enlisting of Bella to support Mary on this tour was a master stroke on behalf of the promotion as we got to enjoy one of the leading progressive female voices on the UK folk circuit, on the same bill as a likeminded American legend. In contrast to Mary, Bella is in the throes of promoting a new album and WITH THE DAWN is the title of this excellent record. Flanked by guitarist Anna Massie, Bella used the bulk of her forty minute set to share tunes from this release including ‘Time Wanders On’, ‘The Darkening of the Day’ and ‘Jolly Good Luck to the Girl That Loves a Soldier’. Bella wisely used this larger than usual platform to mainly showcase the songs leaving less than normal time for her engaging stories and relevant musings. However we did learn about the background to the song ‘Hatfield’, but sadly ‘Herring Girl’ didn’t have its usual delightful introduction. No doubt when Bella returns to the area in October for her Bromsgrove date, the full flow of the prose will be in force. Without the full band to send everybody home dancing to her classic good time Cajun hit ‘Down at the Twist and Shout’, Mary chose to end the show singing solo with her trusty acoustic guitar and politely asked the audience whether she could share a new tune with them. 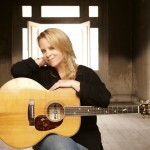 In true Mary Chapin Carpenter tradition, the song recalled to be titled ‘Things That We Are Made Of’ was shaped by the usual finesse that we are used to and heralded the start of the next phase of her career with the recording of a new album. With such a positive reaction from the crowd in terms of both numbers turning up and standing ovations, there is little doubt that Mary will return to the city to promote the album in the not too distant future. Hopefully, a full band will be brought next time, so that we can enjoy the complete Mary Chapin Carpenter experience and once again appreciate an icon of the cultured American singer-song writing movement.